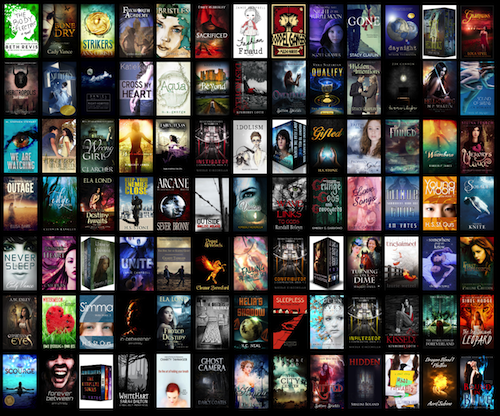 From March 20th to April 3rd, over 70 authors come together to give away hundreds of books. 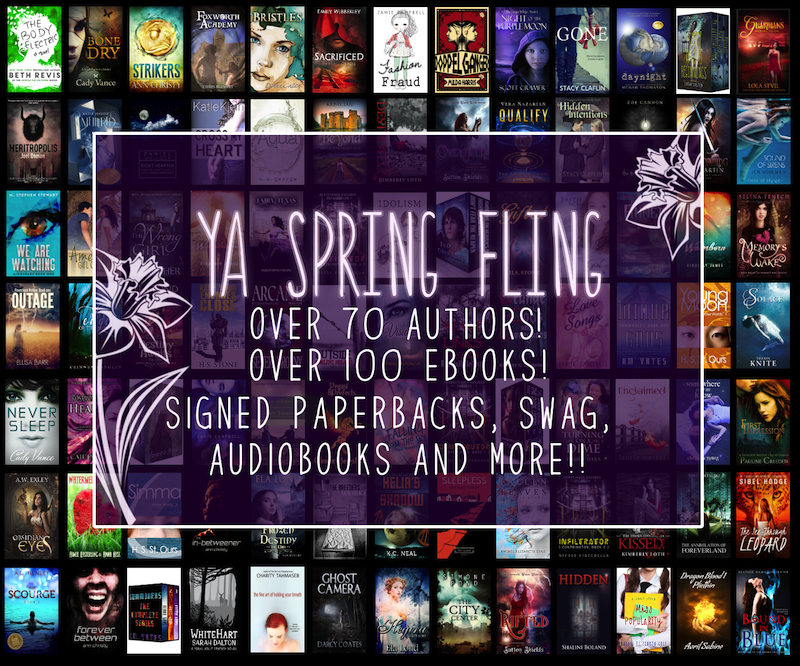 The YA Spring Fling is an opportunity for readers to find new books, new authors and take part in something very special. Here is a sneak peek of some of the books involved in the giveaway. 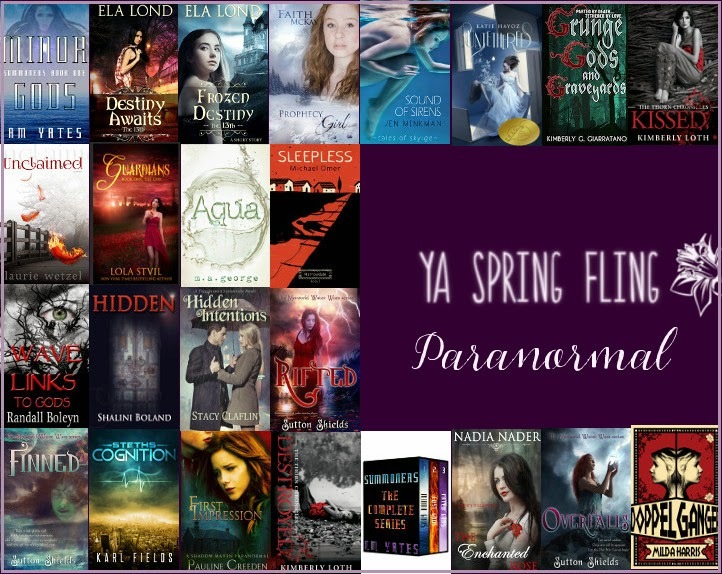 All are featured in the YA Spring Fling giveaway. Click here to win free books! After witnessing her mother's murder by a vengeful Earth Goddess, seventeen-year-old Josie wants nothing more than to seek justice. But when she becomes a target too, a shadowy Fire God comes to her aid. Kate, the school outcast, has always been able to see ghosts, and she constantly fears that someday, her so-called 'gift' will drive her mad like it did her mother. Destiny: it doesn't really matter if your mother kills you first. Sylvie is a social misfit who accidentally astral projects. She's been pushing away her power for years. But when the boy she loves falls for someone else, she finally decides to make use of her gift...for all the wrong reasons. It's 1996 and 17-year-old Lainey Bloom harbors intense guilt over the death of Danny Obregon, the only boy Lainey's ever loved until the one night when Danny's ghost comes back begging for her help. 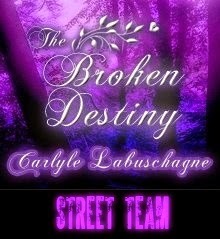 To save Danny, Lainey must go up against her family, best friend and the entire town. Three Boys. Two Kisses. One Devastating Choice. Getting close to MJ could cost more than her heart--it could cost Maddy her soul. Seventeen-year-old Layla McKelland's new coastal home brings intriguing new friends, who reveal secrets about her missing father that run deeper than the gulf waters. Amy knew she’d hate Narrowdale, a boring suburban town. How could it possibly compare to L.A., where she lived her entire life? And that was before she started having the same nightmare over and over again, Before she woke up every night to a shrill whistle outside her window. The truth about the links might be deadly for Llad Fleck. Searching for clues about his cryptic lineage to Norse berserkers, he fights for his life against a powerful paranormal enemy. Haunted by dreams of a mysterious girl trying to help him learn to use the bizarre psychic talents, Llad needs sort out the truth—if he is to survive. Now an international bestseller. Fans of Twilight and Interview with the Vampire will enjoy this paranormal adventure that spans the centuries. On her sixteenth birthday, Madison Greene inherits a huge mansion house... but the house hides a secret. Eighteen-year-old Alexandre lives in 19th century Paris. Spoilt and bored, he longs for adventure, but he should be careful what he wishes for. Madison and Alexandre's lives are about to collide. Falling in love has never been so dangerous . 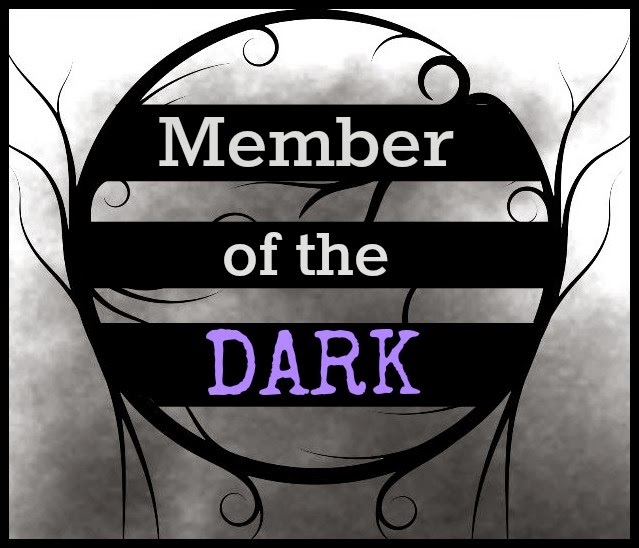 . .
Clara is keeping a dark and deadly secret from the love of her life. If she tells him, she could lose him. If she doesn’t tell him, she will. Hook (pun totally intended): Take a fish-phobic girl, divide her by one hot merman, add a splash of his crazy ex-merbitch, and you get one stinky school year. Someone wicked walks among them. Heartbreak usually requires time to heal. For Marina Valentine, however, time has other plans: like sticking her with a shiny, stubborn accessory, sending her on a surprising date with someone other than Troy Tombolo, and introducing her lips to kisses that could save or destroy everything and everyone. A 16-year-old with the ability to hear heartbeats, and the emotions within them, must act to save a wrongly condemned man from the death penalty. Chirac lives as an outcast in her private school until her best friend invites her on a trip with the popular kids to scope out a haunted house. When the malevolent spirit targets the group, the new kid in school, Ben, seems to know more about surviving the situation than anyone else. Sixteen-year-old Citrus Leahy gets to school late one day and sees herself already inside her classroom. It's probably aliens taking over the world and her life has just turned totally upside down. Luckily, her crush Aedan has the exact same problem! How can readers enter the YA Spring Fling giveaway? Head over to my website Sarahdaltonbooks.com and find the page for the YA Spring Fling (handy hint, it’s HERE). Once you’re there you can browse through the books on offer, or check out more information about the participating authors. 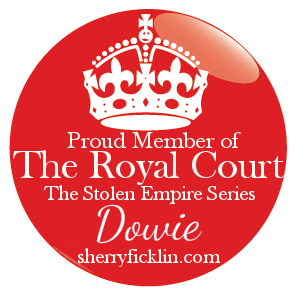 You should see plenty of links prompting you to enter the giveaway. Simply fill out the Google document telling us which books you’d like to win, the format you prefer, and whether you would also like to win paperbacks and swag. It’s that simple. Pick the books you want and sign off. How will I know I’ve won? After April 3rd, I will collate all the entries and pass them on to the participating authors. They will then choose the winners at random and Email the winners to let them know the good news. Will my Email or personal details be used outside the giveaway? Absolutely not. We’re all against spam and promise not to use your Email for anything other than contacting you as a winner. If you joined up to the YA Spring Fling mailing list you will receive one Email telling you the giveaway is open, and another warning you it is about to close. That’s it! We will ask for your country of residence in the Google document. That’s so we can work out the winners for region specific paperbacks more easily. Everything else is open internationally. Me! Send me a message on Facebook. My Email might be clogged by answering author queries, so Facebook might be the easiest method. Who can I tell about the giveaway? And what can I do to help spread the word? You can tell everyone and anyone who might like YA books. If you’d like to spread the word it would be awesome if you could follow or like some of the authors and share their posts about the giveaway. 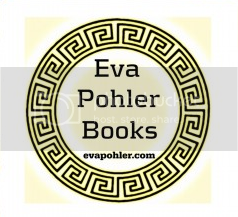 You can find a full list of the participating authors and their social media links here. GOOD LUCK EVERYONE! MAY YOU WIN MANY BOOKS! There are over 70 authors and 100 books in the giveaway, and they range from YA contemporary to YA sci-fi with everything in between. A few of the authors included: Beth Revis, CJ Archer, Megan Thomason, Katie French, Ann Christy, Lola Stvil, Sutton Shields.